Is there any confusion about what to make with shrimp / prawn? 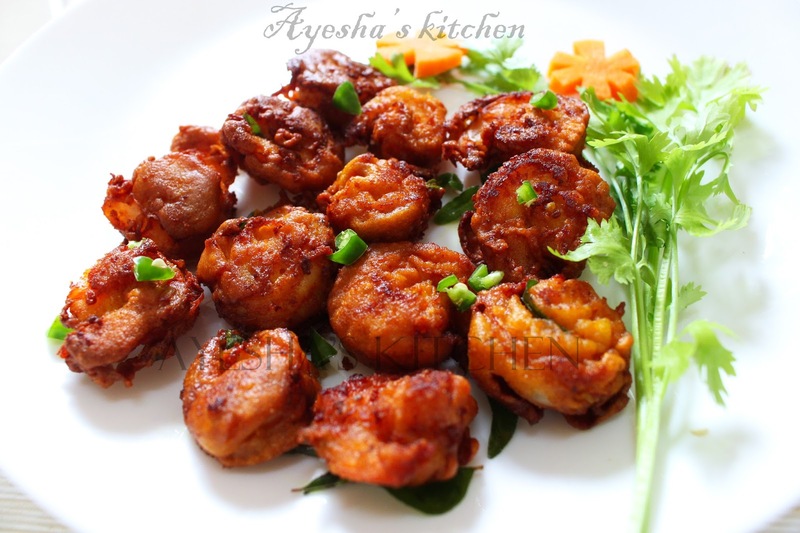 Check out this crispy fried shrimp recipe and turn your meal more yummy. Crispy fried prawn recipes prawns 65 with hot steamed rice is a heavenly combo ever. This crispy lunch meal / lunch idea can attract a crowd easily than any other deep fried prawn recipes. 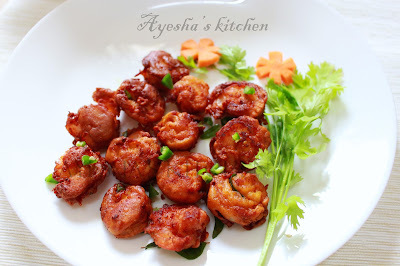 Do try this no fail shrimp fry recipe with gram flour batter. Hope you all love this shrimp / prawn 65 recipe. Wash and clean the prawns properly and drain the excess water in the prawns . Marinate the prawns with turmeric powder , kashmiri chili powder, vinegar and salt. Keep it refrigerated for 15 minutes. In a bowl, mix together rice powder , gram flour, ginger garlic paste, tomato sauce and salt ( add if required only). Make a very thick paste . Do not add more water and the consistency must be thicker than idly batter. Mix this thick batter with the marinated prawns very well. For best result , the prawn must be fully covered with this thick flour batter. Heat oil in a deep bottomed non stick vessel and when hot , add curry leaves . Now drop the prawns one by one and deep fry. Check occasionally. Do not over fry the prawns.